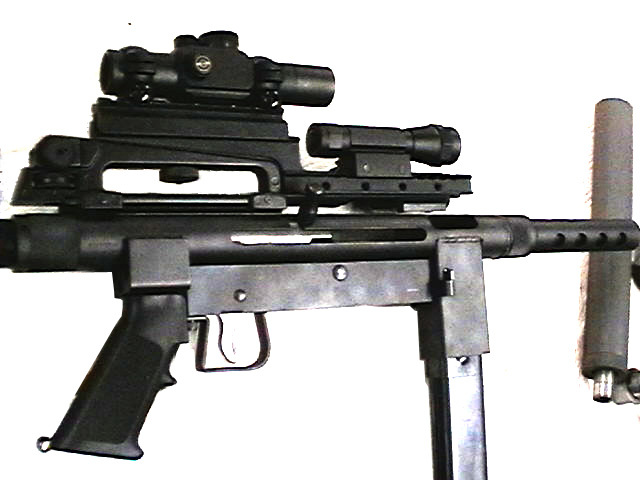 The Stemple 76/45 is a simple tube-type SMG that is John Stemple’s unique design. Its model name is derived from the fact that the receiver is loosely based on the Carl Gustav M45 and S&W76. Since most of these were we assembled by welding and hand fitting, there may be some gunsmithing required to ensure proper fit and function of parts. First pattern buffer pin for use with the guide rod and spring system. Second pattern buffer pin for use with the non-guide rod type buffer. First pattern buffer rod for use with small diameter main spring and and buffer pin with middle notch. First pattern Cocking Handle for use with most early pattern Stemple 9mm and 45 ACP bolts. A different charging handle is used on the .22 Stemple setups. Stemple 76/45s early pattern (small diameter) mainspring. These are the heavier mainsprings for the 45 ACP setup with guide rods on the buffer. For the early pattern 9mm Stemples a weaker mainspring is required.